This trek of over two hundred and fifty miles runs along the southern border of the United States, stretching between Sonora, Mexico, and Arizona in the U.S. It crosses through several protected or restricted lands, such as the Barry M. Goldwater Air Force Range, the Cabeza Prieta National Wildlife Refuge, and Organ Pipe Cactus National Monument. Permits are required by the Marines, as well as the National Park’s Service and The U.S. Fish & Wildlife Service, to pass through these restricted areas. It is easy for the tourists who visit these nature preserves to obtain permits, but they rarely travel this arid, rugged trail. 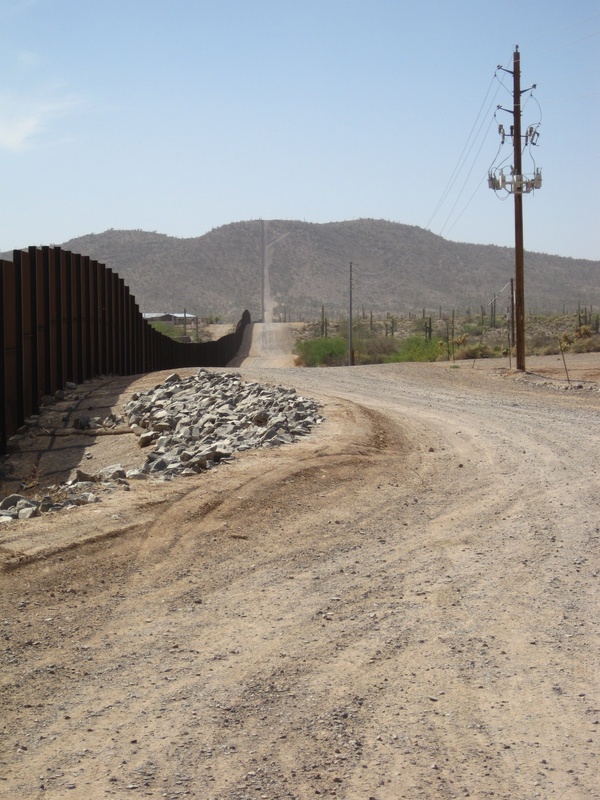 More commonly illegal border crossers use the dangerous route. The lives this difficult byway has claimed give the trail its name: The Devil’s Highway. Caborca, Mexico, at the head of the trail, lies just on the southern side of Mexico’s border with the United States. The trail officially begins along Mexico’s Highway 2, and stops in towns such as Agua Dulce and Quitovac, where water is readily available. After traveling approximately 120 miles from Caborca, and passing through one of the last cities on the Mexico side of the trail, Sonoyta, the treacherous journey truly begins. The 130-mile trek from Sonoyta to Yuma, Arizona is dangerous in any season. The Sonoran Desert can easily reach temperatures of 120 degrees Fahrenheit in the summer and there is little to no water found along this route. In the late sixteenth century, Spaniards visited what is now Southeastern Arizona. Captain Melichor Díaz sent a group of soldiers with a native guide to explore the region. El Camino del Diablo, well known to the Indians–if not yet by that name–was put on a map for future explorers and settlers. Looking for souls to save over a century later, Father Eusebio Kino traced this path again, finding a route to the Pacific. Yuma Indians destroyed any hopes of settling the area after the uprising of 1781, and the road fell dormant until gold was found in California. The year 1849 brought thousands of miners, quickly followed by cartographers and surveyors. The year 1860 brought another gold rush, but the railroad was quickly extended to Yuma in 1870 and the need for the dangerous trail was over. Today, hundreds of thousands of immigrants take the Devil’s Highway as a route to what they feel is a better life in America. Each of these men, women and children risk their lives, sometimes without success, in an attempt to cross the border safely into Arizona and California. The 130 miles of trail that are considered to be the most dangerous cuts off time and travel distance that would be covered while following the Gila or Colorado Rivers. It is littered with crosses and is the gravesite for thousands who choose to brave its treachery. However, for many immigrants, the road provides the opportunity of a new life. Annerino, John. Dead In Their Tracks: Crossing America’s Desert Borderlands in the New Era. Tuscon: University of Arizona Press, 2009. Broyles, Bill. Sunshot: Peril and Wonder in the Gran Desierto. Tuscon: University of Arizona Press, 2006. Broyles, Bill, Gayle Harrison Hartmann, Thomas E. Sheridan, Gary Paul Nabhan, and Mary Charlotte Thurtle. Last Water on the Devil’s Highway: A Cultural and Natural History of Tinajas Altas. Tuscon: University of Arizona Press, 2011. Carrigan, Lou. Si Vas Por El Camino del Diablo. Bruguera, 1984. “Routes From and Near Ajo: Ajo To Yuma by the Camino del Diablo,” 1925, Folder: History, Box 2319, Official Records, RG-79, NARA-MD. Urrea, Luis Alberto. The Devil’s Highway. New York: Little, Brown and Company, 2004. The Bureau of Land Management, “El Camino del Diablo Back Country Byway,” The U.S. Department of the Interior, http://www.blm.gov/az/st/en/prog/recreation/autotour/camino_diablo.html (accessed February 12, 2012). Cabeza Prieta National Wildlife Refuge, “El Camino del Diablo: Highway of the Devil,” U.S. Fish & Wildlife Service, http://www.fws.gov/southwest/refuges/arizona/diablo.html (accessed February 12, 2012). Historic Trails of Arizona, “El Camino del Diablo,” Arizona State Parks, http://azstateparks.com/trails/historic/trail_01.html (accessed February 12, 2012).